As a result of the new electronic identification program rolled out by Germany, SCM Microsystems has announced that more than 700,000 of its contactless smart card readers will be released for use in the country. The provider of secure access solutions and business unit of Identitive Group Inc. are providing free IT Security Kits to promote security amongst German citizens. Germany’s Federal Ministry of the Interior has chosen the deployment of the new e-ID cards to protect online identities, handle government transactions at both the local and federal level, and access a range of consumer-oriented applications, one being ePayments. 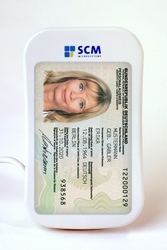 SCM’s smart card-based products and solutions are utilized in security and identification applications, transaction systems, eHealth- and eGovernment programs and physical access systems around the world. The German government will provide this security Kit free of charge to its citizens to provide that same added security measure.